How do I access my emails in a browser? 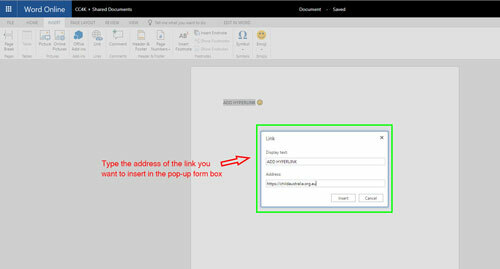 Staff should now be accessing their email from their Office 365 Portal using a web browser located at https://login.microsoftonline.com (see image below). Your login will be your email address and the password you use to login to your work desktop or RDP. 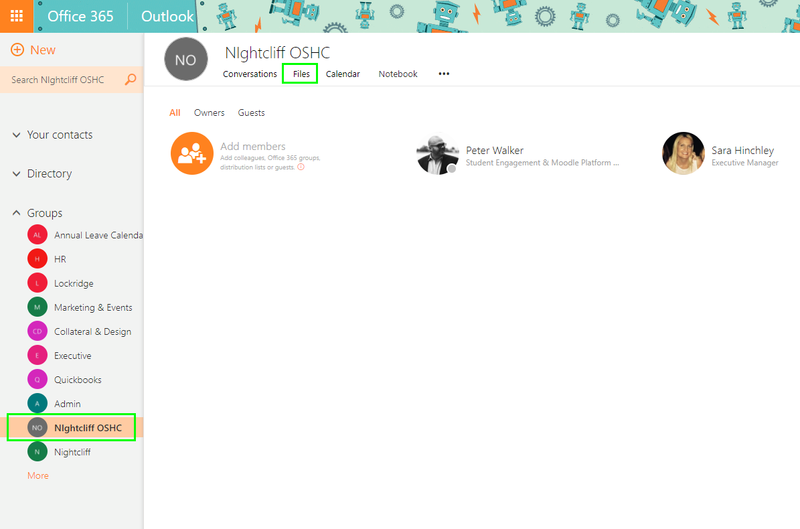 Once logged in you will see the Office 365 Portal. From here you can access any number of available Microsoft Applications. 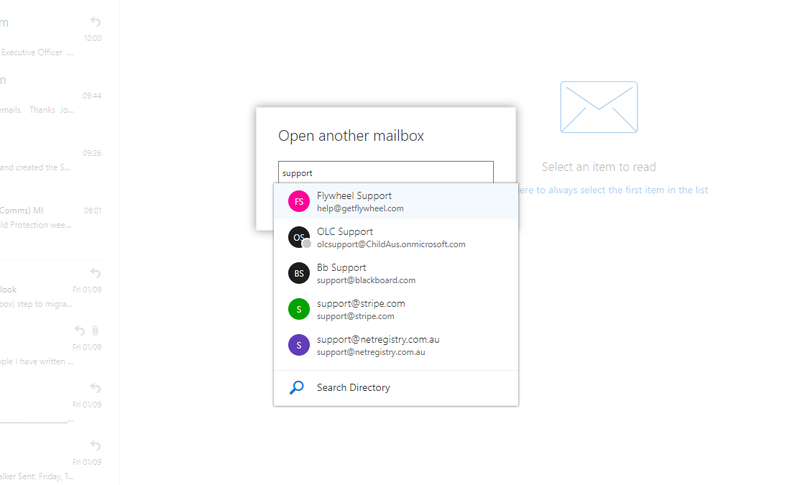 The Outlook Web Application is the first top left tile below the search field (see image below). 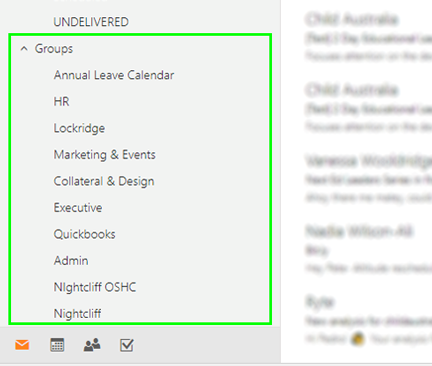 Your new Outlook email inbox will look something like this and apart from some functionality improvements, will behave exactly like your old Desktop Outlook email inbox (see image below). For more information on signing into Office 365 watch this short video. How do I access Shared mailboxes in a browser? 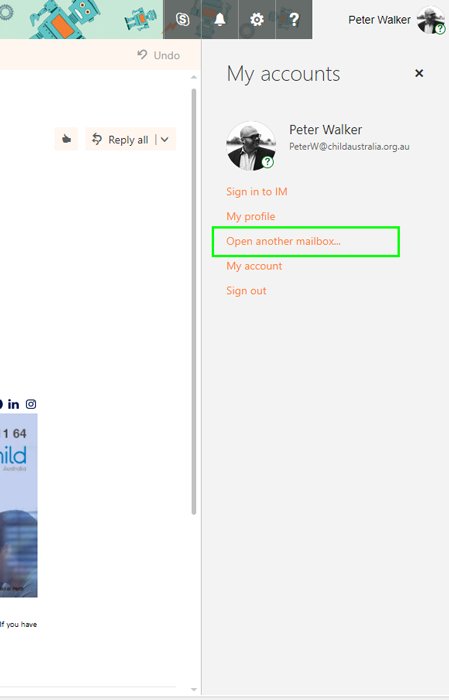 If you have been allocated permission then the new mailbox will open in a new tab! What are Groups in my Inbox? Staff accessing their email in the Office 365 Portal using a web browser located at https://login.microsoftonline.com (see image below) will now have access to a range of new functions! Depending on your role in the organisation you will also have been added as a member to a Group. 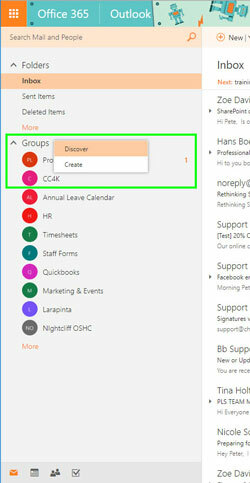 Groups are similar to email lists but much more powerful, allowing users in that group to share calendars specific to their group, participate in Instant Messaging Conversations and access files in a SharePoint Application similar to the RDP Network drives! What is SharePoint and how do I access folders? 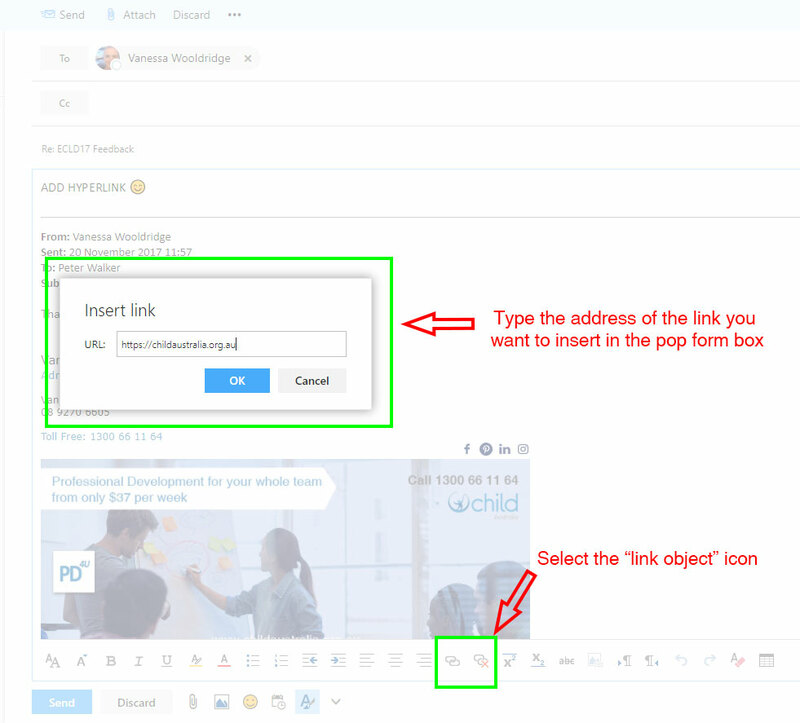 Staff accessing their email in the Office 365 Portal using a web browser located at https://login.microsoftonline.com (click on image below) will now have access to a range of new functions! Once logged in you will see the Office 365 Portal. From here you can access any number of available Microsoft Applications. 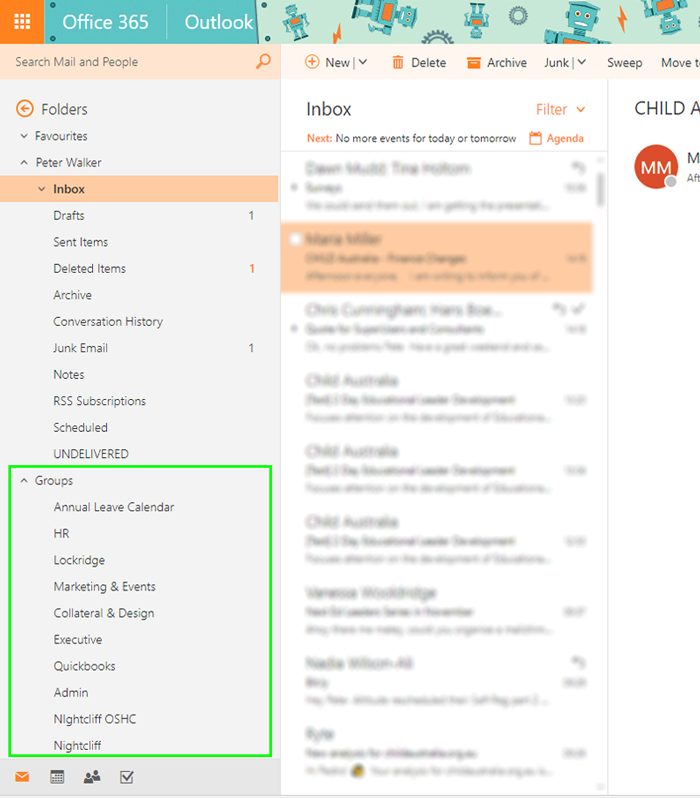 The Outlook Web Application is the first top left tile below the search field (click on image below). 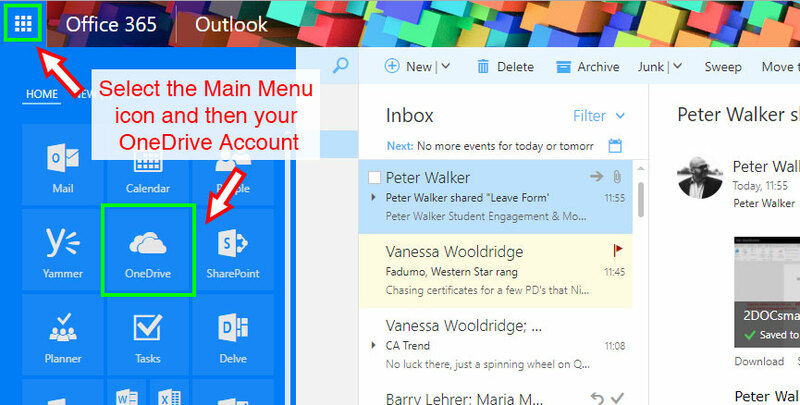 Your new Outlook email inbox will look something like this and apart from some functionality improvements, will behave exactly like your old Desktop Outlook email inbox (click on image below). SharePoint Online is a cloud-based service that helps organisations share and collaborate with colleagues, partners, and customers. With SharePoint Online, you can access internal sites, documents, and other information from anywhere—at the office, at home, or from a mobile device. 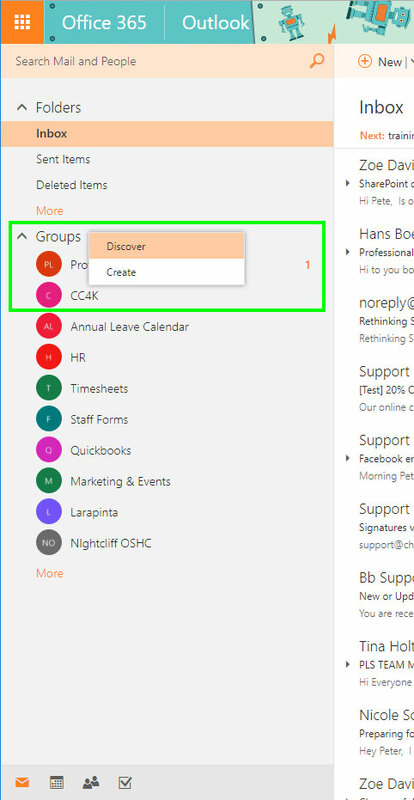 By selecting a group from the right-hand side of the Inbox Menu you are given access to a rich functionality of Conversations, Files, Calendars and other applications specific to that group (click on image below). Select Files and then Browse Library. How do I find a SharePoint Group? 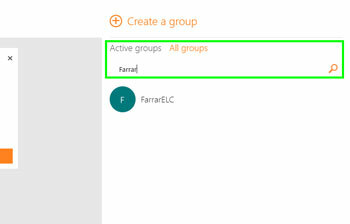 Searches can be filtered by “Active groups” or “All groups” Once you have located the group you are looking for simply click on it in the window below the search bar. How do I hyperlink in an Email on Office 365? To hyperlink text or an image in an email select the image/text. If you are replying to an email click on “Show message history” to access the full email editing tool bar. The full email editing tool bar contains all the text editing functions required for email. Select the “link object” icon from the full email editing tool bar and type the address of the link you want to insert in the pop up form box. Click OK and the hyperlink will be added to the selected text/image in your email. 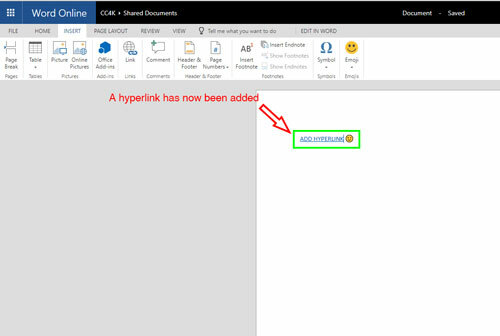 How do I hyperlink in a Document on Office 365? 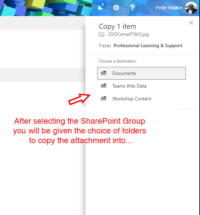 When a document is emailed to me, how do I save it to SharePoint? 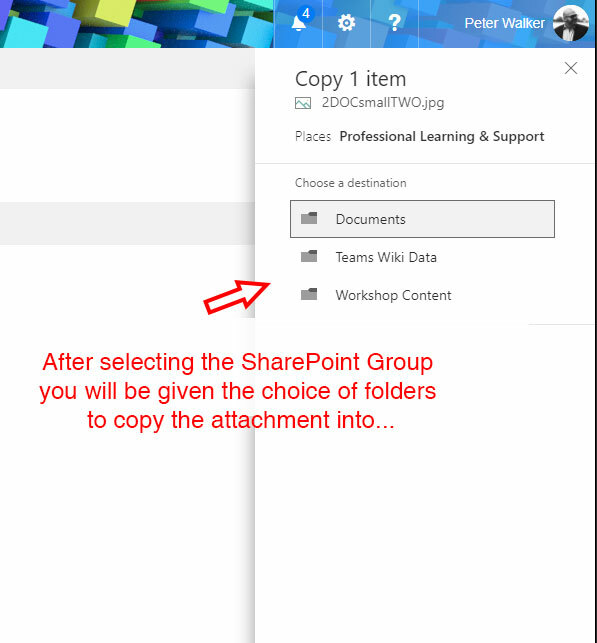 To view how to save a document to a SharePoint Group from an email click on the images below (to enlarge and view them in the gallery pop-up). Instructions are contained in the images. What does this Pop-up mean? This means that your Desktop mailbox has now been uploaded to a cloud server on Office 365 and that you will no longer need RDP to check your emails! If there is a technical reason you need to continue using a Desktop Outlook Email Client, simply restart it when Microsoft Outlook asks you, making sure you are NOT doing this in RDP. If you have chosen to use your mobile phone for emails you will need to delete your old account on your phone if you have one and simply re-add another account with your work email as the username and your work password for the password. 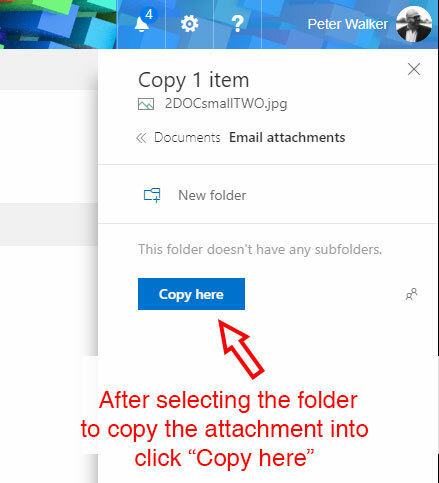 Check out the video “Installing Outlook Office 365 Email on Your Mobile Device” on this page for more help! Still having difficulty finding the answer to your tech problem?